The question of whether or not a machine can be creative is one that has caused plenty of ponderous head-scratching among computer scientists and those working in the humanities. While it may seem insignificant next to challenges like robots eating our jobs, killer robots in modern warfare, or the threat of artificial intelligence gaining consciousness and going all Skynet on us, it’s actually pretty darn crucial. Creativity isn’t just about painting pretty pictures or writing a novel; it’s about the ability to come up with new strategies and ways of looking at the world. 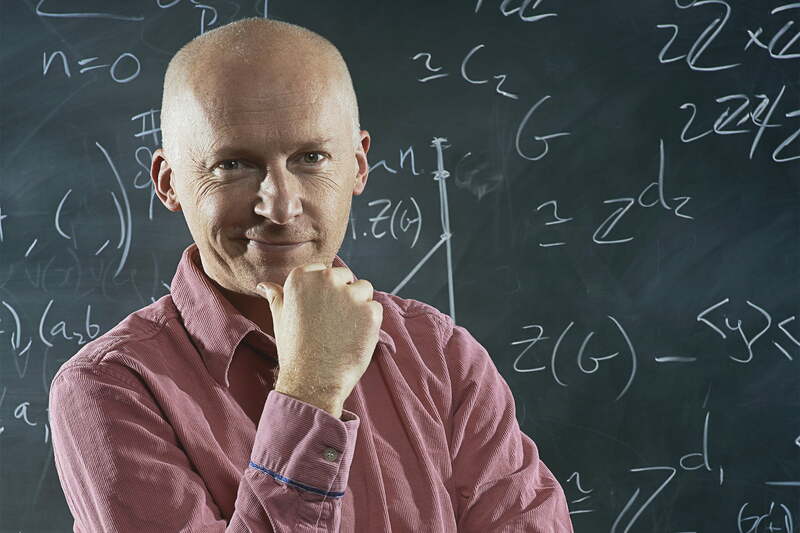 The latest thinker to tackle this heady question is Marcus du Sautoy. One of the U.K.’s leading mathematicians, a bestselling author, and science and math popularizer, du Sautoy’s new book is titled The Creativity Code: Art and Innovation in the Age of A.I. Its author spoke with Digital Trends about the book and his answer to the question of whether artificial intelligence can be truly creative — and what this means for the future of machine intelligence. Why is creativity and A.I. a topic deserving of its book? And, more importantly, why now? For me, the idea of creativity — writing novels or music — is something we viewed as uniquely human. After all, if you’ve got an algorithm, then surely the human coder is the creator because they’ve written the algorithm and it can only do what its creator tells it to do. That’s what Ada Lovelace first said when she thought about the power of the Analytical Engine. She was interested in something that could do more than just computation and suggested that it might even one day write music. However, she always noted that it would never be doing more than what the programmer told it to do. There are algorithms at the heart of many of the things that we generate artistically. Why this is particularly important to look at now is because I think this has all changed. We’ve had a real sea change in what A.I. is capable of. That’s because of this idea of machine learning. We realize that you can create an algorithm that can change itself as it learns and engages with data. This is exciting because we start to see a disconnect between the code and the coder. Code can now learn, change, and adapt — and why shouldn’t it learn to produce new, exciting and innovative things that we might find exciting as humans? As someone who comes from a math background, is creativity a frustratingly imprecise metric? [One question that I’ve received is] why is a mathematician taking readers on this journey into creativity. Traditionally, mathematics has been perceived by outsiders as this thing of cold, steely logic. It’s not about intuition and creativity. But my argument has always been that to do mathematics requires a lot of the same traits people use to make interesting breakthroughs in the creative arts. I’ve used the game of Go as my protective shield against those who say that a computer, which is capable of performing maths, should be able to put mathematicians out of a job by proving theorems. The game of Go is a very logical game. But if you talk to any Go player, they often say that they don’t know why they made particular moves. It just felt right. To me, that felt a lot like doing mathematics. Often I don’t know why I’ve made logical moves in a particular direction — yet as the game goes on, I realize that that is how I can prove a particular theorem. 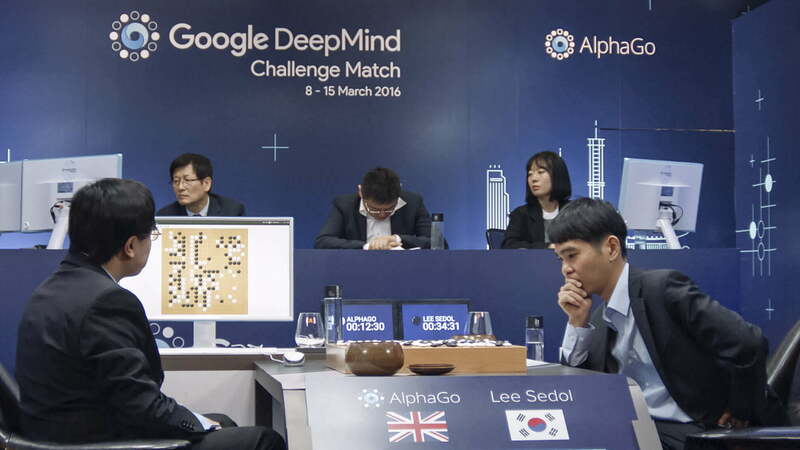 When I saw AlphaGo learning to play Go, ultimately beating Lee Sedol, I realized that it was doing something that we’ve always thought required creative intuition to play. It wasn’t just playing like humans, either. It was making new, exciting moves which have now changed the way that humans play the game. Move 37 in game two has become a famous example. In the past, you wouldn’t have played so far into the heart of the board so early. [The A.I. researcher Margaret Boden suggests that we can define creativity as] trying to do something new, surprising and of value. Computers can generate lots of new things, but it’s that “surprise” and “value” element that are particularly interesting. Move 37 surprised all the commentators and it ultimately won the game, thereby proving that it had value. Of course, other examples are less clear cut. How much of human creativity do you view as being fundamentally algorithmic? To give you two examples, blues music and Marvel blockbuster movies seem to adhere tightly to a formula. There are algorithms at the heart of many of the things that we generate artistically. Everything from Jackson Pollock to the music of Bach does have rules that you can articulate, and they’re often quite mathematical in structure. That’s because our brains work in quite an algorithmic way. If certain neurons fire, they will communicate via synapses to other neurons, which causes another set of firing. In a way, the artistic output is the projection of that algorithmic process. It’s quite mysterious and hard to articulate. Should we regard the person who wrote the code as the author? That’s why traditionally you’d say there’s no way to code that because we don’t understand it. But with the machine learning that’s happening at the moment, it doesn’t need to know in advance how these things work. It learns by making mistakes and interacting with the data. Some philosophers would probably shout me down for this, but I think we’re getting to the point where we have algorithms with a subconscious. It’s not a real consciousness yet, but some algorithms have reached a point where we can’t unpick exactly how and why they’ve made their decisions. The number of decisions being made in neural nets are far too dense for us to unpick. Is there a double standard when it comes to machine creativity? We’ll assume that an artist has something profound to say with their work that we might not attribute to a machine? People bring baggage to something they know has been created by a machine. If you play someone a piece of music that they emotionally react to, why should that response change when you tell them that it was actually generated by a computer? But you do feel cheated. Part of the reason we create art is because of the hard problem of consciousness. It’s very difficult to get inside the world of the other and to feel what it’s like to be one of our fellow human beings. I don’t know if your internal consciousness and emotional world is like mine. We name “pain” with the same word, but is your pain really like mine? The art that we generate is a coding-up of the emotional world. We feel that this is part of the point of artistic creativity. A computer doesn’t have a mind, so we feel cheated. But ultimately this is why I feel that this area is going to be very exciting. A.I. is beginning to develop a complexity and richness that will need us to understand a bit more about what’s happening inside a machine. Things like [Google] DeepDream are an interesting example of visual images produced by a machine. Maybe that’s the most interesting A.I. art because it’s telling us about what visual recognition systems have learned about what they’re seeing in the world. How about the question of authorship? We wouldn’t attribute authorship of a Jackson Pollock painting to paint or gravity. In some cases, human artists will hire assistants to physically produce aspects of the work. And yet we still consider the original artist to be the overall artist. Do you think that the world of A.I. creativity will challenge some of these ideas? It already is. I think we might have to give up on some of these ideas. There is going to be a very muddy area that’s beginning to emerge. Should we regard the person who wrote the code as the author? Or should it be the creator of the data that the code learned to evolve and change from? What if one particular piece of data causes it to take off in a particular direction? A lot of the same questions could be asked of human creativity, though. It’s one reason I love Brian Eno’s idea not of the genius but of the “scenius.” We love to celebrate the individual, but maybe this will make us reassess our own ideas about authorship and creativity. Every artistic output has quite a lot of authors involved in its generation. Do you see A.I. being potentially useful in creating works of art that better reflect the viewer? Artists have regularly targeted their work at particular audiences, but those works don’t fundamentally rearrange themselves according to who is looking at them. That seems like it’s something that’s very possible in the A.I. age of personalization. When I write a book I often think about the fact that I’m writing one book that has to work on millions of different minds. That’s clearly impossible. As I was writing The Creativity Code, I thought that what I needed is a way of having a book that will change according to the knowledge of the readership. That’s what we’re seeing already with algorithms used for music or book recommendations. They very quickly learn your particular ways of thinking and suggest things accordingly. Why couldn’t it do the same elsewhere — so that, for example, it knows that you’ve read certain books so it can assume you already know a bit about the topic. We saw something along these lines with Bandersnatch. It was not clever enough that it could create something rich and complex enough to be genuinely unique to you, but it was a pathway that you chose. We often worry about A.I. being used to replace humans in certain contexts. However, some of the really exciting applications involve using A.I. to augment human creativity. Are there particular examples of this that you’ve come across? For me, The Creativity Code is an optimistic book about A.I. The stories deal, [in many cases], with how we can be more creative as humans. Quite often, we’ll get very stuck in particular ways of doing things. We need to be broken out of that. Sometimes, an A.I. can do that — by showing us something different we could do. One of my favorite examples is the Jazz Continuator of François Pachet. In that case, the A.I. learned from the riffs of a jazz musician and then started to put those together in a new exciting way. When the jazz musicians played with it, they recognized that it was using their kind of soundscape, but doing things that they’d never thought of doing before. My image is of us as creative humans being like people in a huge great hall, but we’ve only got one corner of it lit. We’re dancing around there, but we don’t realize how much more there is to explore. A.I. can show us how much more we can do with the tools available to us at the moment. Weirdly, in doing so, I think that A.I. might help us behave less like machines and more like humans.